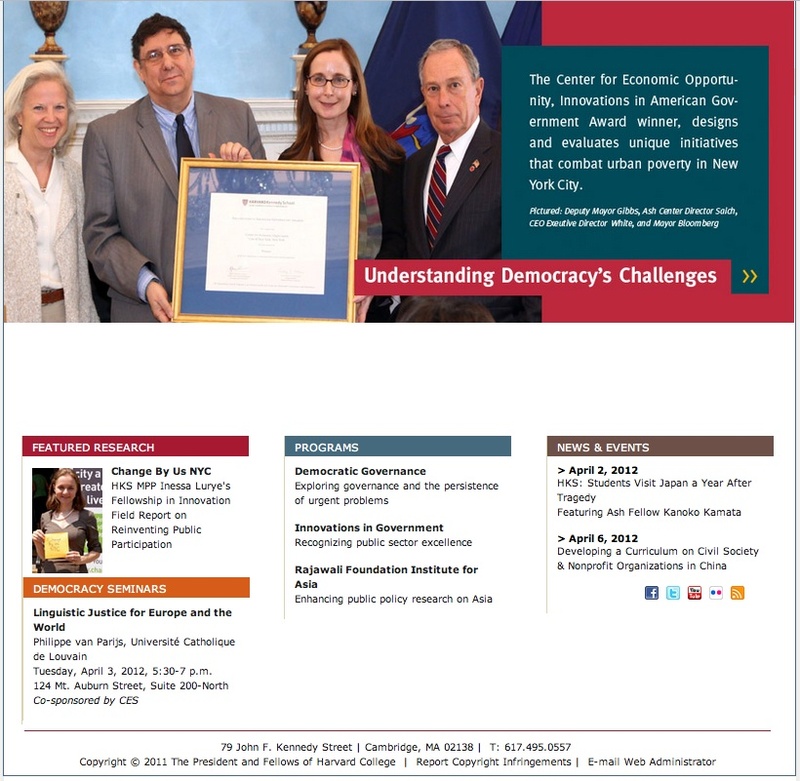 Related to the John Kennedy School of Government at Harvard University, The Ash Institute for Democratic Governance and Innovation explores core issues in democratic practice and effective governance, in democratic processes and institutional adaptation throughout the world in different societies. The Ash Institute website provides information about the center’s activities, conferences, seminars, and award announcements. A fully-free access is also offered to abstracted and full-text papers and to case studies, research papers, reports and projects (only Teaching Case Studies require a payment). Materials range from research reports to learning tools, mainly full-text available in pdf format and sometimes in audio-video versions. This website is also fully integrated with the portal of Government Innovators Network, which offers a large archive of documents, projects descriptions and online communities of practice about innovation in governance. The Ash website clear design and efficient content organization provides a positive environment for any user, with immediate orientation and quick material retrieval also for non-expert users. The overall updating rate is fair, particularly for internal announcements, even if could clearly be improved.